Remember how part of the reason that I hired the doula that I did was because she did professional birth photography? Serge Constantine, a few hours after he was born. Called by his middle name or “Costa” for short. My son was born at 6:10 PM on Sunday evening. I had been in labor for just around 8 hours, and had only been on the 1-2 ml/hr Pitocin drip for the first 5 hours. Beyond that (and the attendant continuous fetal monitoring), the only intervention that was used was the vacuum extractor. Took my daughter to see Dr. Sark for her follow-up appointment on her ear infection today. Before he came in I was seated on the examination table, and he surprised me by crossing immediately to me and putting his arms around me. I didn’t realize what he was doing getting so close to me and I rather stupidly blurted out, “What’s this?” He replied, “This … is a hug.” “Okay … so we’re on a hugging basis now …” I said, trailing off. It kind of took me by surprise. Far be it from me to complain though. A hug from a hot doctor is a hug from a hot doctor, right? I asked Dr. Sark about travel during pregnancy, explaining that my sister is engaged and angling for a wedding date in November of next year. He replied that he wouldn’t want me traveling after four months. “Four months!” I said in disbelief. He said something about being old-fashioned and not wanting pregnant women jetting around everywhere. I’m sorry, but no. Even if I didn’t have the wedding, I have academic conferences to attend in the summer that are important to me. I only need a doctor’s permission to fly with certain airlines during the final month of pregnancy, and quite a few of them have no requirements for a doctor’s permission at any point of the pregnancy. So, I guess I shouldn’t count on getting permission from him if I need to do any traveling during my final month of pregnancy. Which is fine. I’ll just have to stick to the airlines that don’t require it. In other news, I asked him at an appointment several months ago if I could have a doula at my delivery if he were my doctor, and he said he’d get back to me on that. Today he finally got back to me, and he said a doula would be fine. So yay for that. 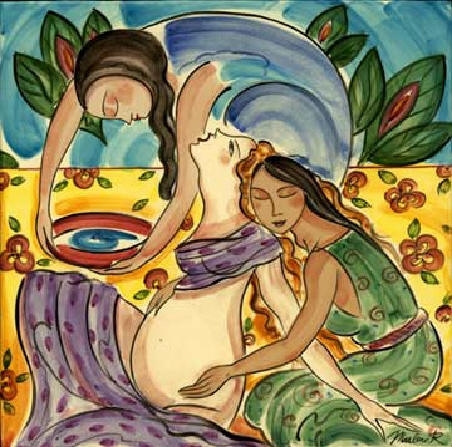 The Doula Advantage by Rachel Gurevich (2003) — I liked it. It builds a strong case for why a woman should want to hire a doula to support her in labor and delivery, and also talks about postnatal doulas and antenatal doulas. Generally does a good job of citing scientific studies to support its points. The writing isn’t always strong, and the book gets rather repetitive, but overall, it’s a solid book in favor of doulas. I like how it does not portray doulas as a mere fixture of the NCB/homebirth movement, but makes it clear that they can be useful even when one is having an epidural or other interventions. 4/5 stars. Lying-In: A History of Childbirth in America by Richard W. Wertz and Dorothy C. Wertz (1989) — This is a scholarly text originally published in the 70s, updated and re-published by Yale Press in 1989. I loved it. It’s a general survey of American attitudes towards and practices involving pregnancy and childbirth. It traces the shift from community-supported, midwife-attended, mother-centered childbirth in the colonial era to the current world of physician-attended, medicalized childbirth that emphasizes the safety of the baby and the creation of perfect children even at the expense of the mother. It covers major developments in obstetrics (anesthesia, forceps, c-sections) and medical misfires (puerperal fever epidemic, Twilight Sleep). The Wertzes’ sources are not always terribly thorough, but overall it’s a strong text that really gave me a good perspective on where childbirth has been and how we arrived at where we are. 5/5 stars.